Producer: The Pabst Mansion, 2006. Join Pabst Mansion historian John C. Eastberg as he explores the life, family and home of brewing magnate Captain Frederick Pabst. This narrative delves into the history of one of America's great brewing families, how their home eventually became a national landmark and one of the country's finest house museums. Over 350 photographs tell the Pabst story, many from their private photograph albums, which are being viewed by the public for the first time. 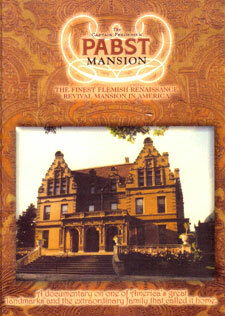 Also included in this DVD is a room by room tour of the magnificent Pabst Mansion.